"You have asked me to disclose my dream about John, so I beg to state the incident as follows. I dreamt that John took me in a place at Calcutta and he was showing me a house, a big palatial building, which formerly belonged to a very rich man, and he was a famous musician also. "I think therefore that John was previously that man to whom that house belonged, and now he has taken birth in England. 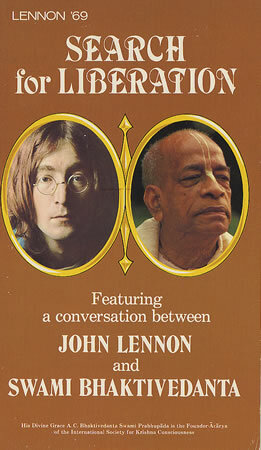 It is quite possible that he has inherited his past musical talent, and because that man was very liberal and charitable, so he has acquired some wealth also, and now in this life if he properly utilizes his talent and wealth for Krishna, then surely he will achieve the highest perfection of his life."